The outfit that a Dean of Pledges wears to the probate says a lot about the chapter, the line and themselves. The importance of their outfit is seldom highlighted because the bulk of the spotlight is put on the line of initiates but it is very important because the Dean and ADPs are the ones who are leading the ceremony/show and introducing these new brothers and sisters to the world. 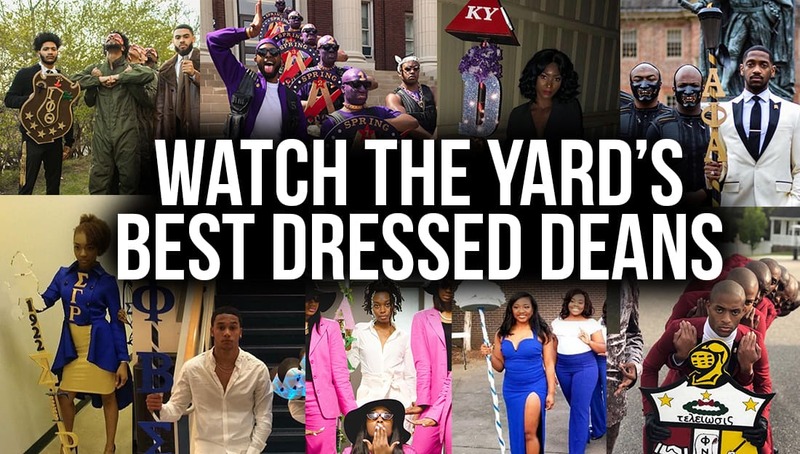 Last month we at Watch The Yard sent out a request for members of Black fraternities and sororities to send in their pictures of the best dressed and most stylish Deans of Spring 2018 lines. The response was overwhelming so we created a list of our favorites. Check out the slideshow below to see who made the list. These brothers and sisters look amazing and represent their chapters, schools, organizations, and legacy to the fullest. Share this on Facebook if you think the brothers and sisters who made this list deserve to go VIRAL!